Cycling Ireland | Who Really Owns the Road? 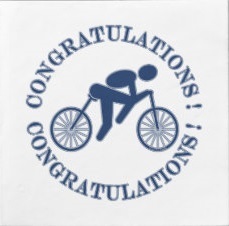 Investing in Cycling, Membership Awards and more Braking News! Who Really Owns the Road? Investing in Cycling, Membership Awards and more Braking News! Membership Awards - Get Voting! Who will be the Cycling Ireland Volunteer of the Year? What was the best cycling event in 2016? What club will be the Cycling Ireland Club of the Year this year? Have your say in the annual Membership Awards if you are a Cycling Ireland member, and VOTE HERE ACROSS EIGHT CATEGORIES. The winners across the various categories will be announced at the Cycling Ireland Awards Dinner which takes place in the Crowne Plaza Hotel in Santry, Dublin, on the 26th November. If you are interested in going to the Awards Dinner the tickets are now ON SALE HERE. Who Really Owns the Road? Recently a thousand cyclists turned out to ask the Government to #AllocateForCycling and to increase the funding for cyclists. This simple request generated a lot of interest, and raised the wearisome debate of who deserves the road more, the cyclist or the motorist. We decided to PUT A FEW POINTS STRAIGHT. 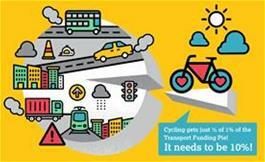 An investment in cycling benefits everyone, whether you cycle, drive, or both! We recently conducted a survey on cyclists who were previously members of Cycling Ireland but who did not renew their membership in 2015 or 2016. Our main reason was to understand why they did not renew, and what we can do to make our service more attractive to them. Over the past few months we ran a number of competitions and are delighted to announce the winners! Frog Jerseys: Rachel Hodge, Nial Kirton and Eoin Moloney. 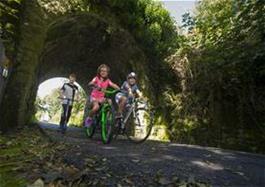 The Waterford Greenway is the latest Greenway to open, offering 23km of a dedicated walking and cycling path from Kilmacthomas to Dungarvan. Over the coming months this will extend to Waterford City, bringing it to 46km in total. This is well worth the trip - so plan ahead with THIS INTERACTIVE MAP. 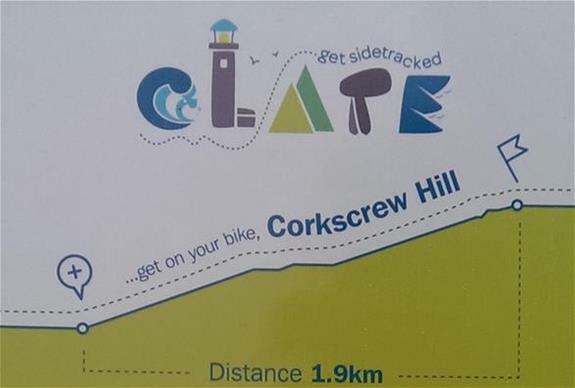 If you are cycling in Co. Clare you may already have come across these great interactive cycling hill signs, developed by Clare-Getsidetracked, an outdoor recreation brand for County Clare. The signs themselves show you the distance and gradient, and a chip on the sign when scanned by a mobile device directs you to a web page which lists the time it took riders to complete the particular segment (via strava). READ MORE about this great idea! Cycling Ireland and iDMe have come together to offer a significant discount to our members on safety wristbands. Cycling is one of the fastest growing sports and activities in Ireland, and with more and more people out on the roads, we recognise the need for people to carry identification in the case of an incident. The iDMe wristbands can easily be updated, and include options for the cyclist to enter any medication they cannot take, as well as including an emergency contact number. 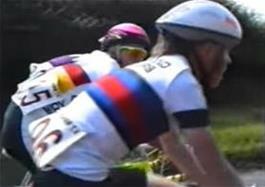 Have a look at this VIDEO from the 1991 youth National Road Racing Championships and get a glimpse of how cycling looked 25 years ago. The images highlight the changes that have come about, and the commentary gives a good account of what happens in a cycling race. If you have old cycling photos or videos, we would love to HEAR FROM YOU. September and October were busy months for Irish cyclists internationally! It began with the dominating performances of the Irish Paracyclists at the Paralympic Games, where the Irish team came home with five cycling medals! Eoghan Clifford kicked off proceedings with a BRONZE in the MC3 Individual Pursuit, followed by a WINNING WEDNESDAY when Eoghan Clifford and the women's tandem of Katie-George Dunlevy and Eve Crystal both won gold in the Time Trial. Colin Lynch kick started the day with silver in the Time Trial. In the Road Race the women's tandem won silver, to bring the tally of the Paracycling Team to five! In the World Road Championships in Doha the Irish cyclists overcame intense heat to put on an impressive display, with the highlights being FIFTH FOR RYAN MULLEN in the Elite Men's Time Trial and NINTH FOR EDDIE DUNBAR in the U23 Men's Time Trial. SAM BENNETT MADE THE BREAK in the Elite Men's Road Race, only to withdraw due to the intense heat. 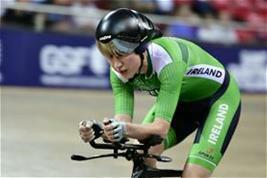 Last week ANNA TURVEY STORMED TO BRONZE in the Elite Women's Individual Pursuit at the European Track Championships, at an event which included a lot of new names on the Cycling Ireland Track Programme. In the European Cyclo-Cross Championships the Offroad Commission entered a young team with David Conroy finishing 39th after suffering a puncture early in the U23 race, and the junior riders JB Murphy and Craig McCarthy finishing 42nd and 51st in their debut championship event. The Cycling Ireland AGM takes place on the 12th November in the Castletroy Park Hotel in Limerick. All Cycling Ireland members are welcome to attend, and will have a chance to air their opinions. Voting is conducted by delegates from clubs, with each club being granted a vote based on its size. 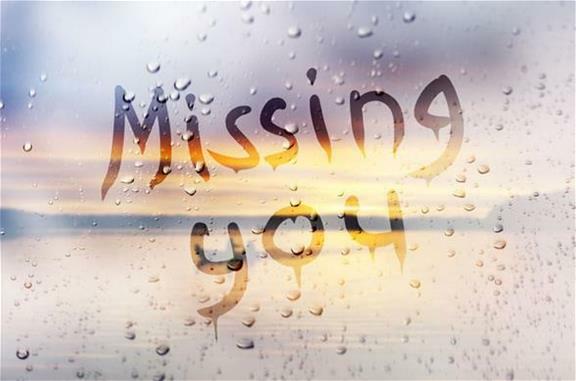 We look forward to meeting you there. 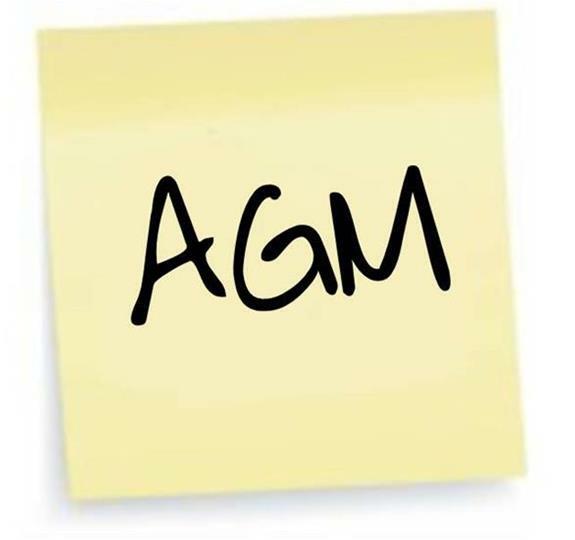 Details of the Final Notice for the AGM are HERE.